An international team of astronomers has pieced together and analyzed the longest and most complete record of a rare cosmic outburst known as luminous red novae in the nearby Pinwheel galaxy. 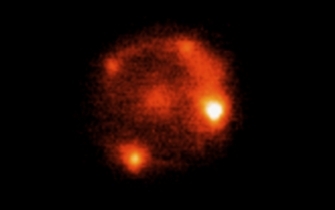 With 15 years’ worth of optical and infrared data, astronomers could, for the first time, study in detail the evolution of the binary star system believed to be the origin of the observed luminous red nova. With more than 50% of all cosmic objects existing in binaries, the new study can provide important new clues about how such systems evolve in the Universe. On the night of Feb 10 2015, a Romanian amateur astronomer Dimitru Ciprian Vintdevara spotted an interesting flare in the sky and posted his findings on CBAT – an online platform for professional and amateur astronomers to report new discoveries of comets, novae, supernovae and other transient events. Detections like Ciprian’s abound but resources and facilities available to professional astronomers to conduct follow-up observations are limited. Selecting the most interesting events to look in detail is a matter of keen eye, experience and sometimes luck. The international team of astronomers who decided to follow this particular flare may debate on the relative importance of luck involved, but they are all quite glad they did. 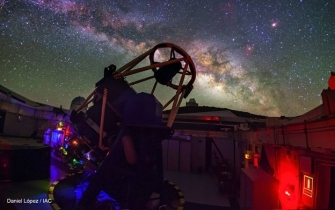 Initial observations of the brightness and spectra of the object as well as the time it took for it to fade away convinced astronomers that they have spotted a rare species in the cosmic tree of life. This species was recently confirmed by scientists at Caltech and Berkeley in 2007 who described a flash in the sky too faint to be a supernova yet too bright to be a nova. They dubbed this new class of cosmic transients luminous red nova (LRN). We were really excited because this is one of the very few LRN discovered to date. 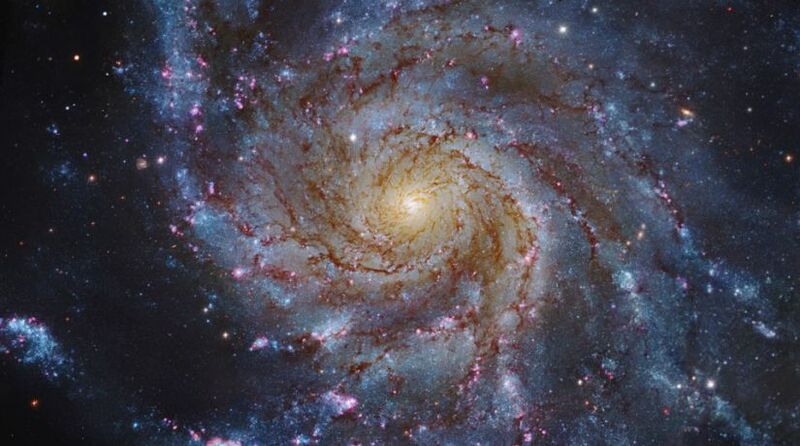 So far, we have confirmed the existence of only 4 LRN in our Galaxy and 4 extragalactic ones like the M101 OT2015-1, which we found in the nearby Pinwheel galaxy. These objects are predicted to happen once every 2 to 30 years in our Milky Way but they are very faint and therefore hard to spot with many of the small telescopes that survey the skies for transient events. said Nadia Blagorodnova, lead author of the study and a postdoctoral fellow at Caltech currently working for the GROWTH project. Luminous red novae may be a rare phenomenon to observe, but there are quite a few astronomers with keen detective instinct, which wakes up when they spot an interesting event in our cosmic neighborhood. Spending countless hours gathering evidence from multiple surveys and datasets, the team managed to piece together the most complete story to date of a LRN. We have the most valuable observational data for an extragalactic LRN. This dataset, gathered from international facilities around the world, can point us to what happened to the progenitor 16 years before the outburst. We can now compare our data with various models that propose different scenarios for how a star becomes a luminous red nova. said Mansi Kasliwal, co-author on paper to be published in the Astrophysical Journal. The most widely accepted model suggests that two stars get locked in a binary system and one of them expands, starting to shed material onto its companion. Depending on the mass and age of the two stars, the receptor may not keep up with the amount of stellar gas pouring onto it from the donor star. Both stars then become engulfed in a “common envelope” and their cores start spinning around each other faster and closer until the orbital energy is so high that it pushes out the common envelope ejecting much of the material outward in an outburst we can observe as a LRN. This process is much like turning on a blender to make your strawberry banana smoothie. If by any chance you forget to put the lid on, you will observe how the smoothie starts swirling as you switch to faster speeds until, finally it is forced out of the container and onto your favorite shirt. We see many of the characteristic signatures of this kind of “common envelope” blast in our data. The brightness of the eruption, the low velocity of the ejected material as well as certain molecular signatures in the spectra strongly suggest that our LRN resulted from such an outburst in a binary star system. This is exciting because we now have a solid dataset that can be used to test theoretical predictions for binary systems that go through a common envelope phase. It is hard to have an accurate estimate but astronomers believe that more than half of the objects in the Universe live in partnership with a mate - from average stars to compact neutron stars to the black holes which spiraled into one another to produce the gravitational waves predicted by Einstein and detected for the first time by LIGO last September. Current theories suggest that at one point or another most of these binaries have gone through the short phase of existing in a common envelope. However, theorists still have a very limited understanding of the physical processes that define its time scale and evolution because of the complexity of interactions between the partners in the binary, which makes both analytical approaches as well as numerical simulations very challenging. Observational data like these of M101 OT2015-1 is critical in reducing this complexity by ruling out models and providing constraints for others. Understanding the progression of the common envelope phase can help astronomers predict the formation and evolution of stars and the rates of many important binary mergers whose signature we observe as the well-known type Ia supernovae (the standard candles in the Universe used to measure distances to stars and galaxies), fantastically powerful Gamma-Ray Bursts or fascinatingly tiny gravitational waves. We will continue to observe the LRN in M101 with several of the telescopes in the GROWTH network - said Nadia. We hope to find out more about the remnant after the LRN, which is yet another piece to solve in the puzzle of binary system evolution.